Hello! 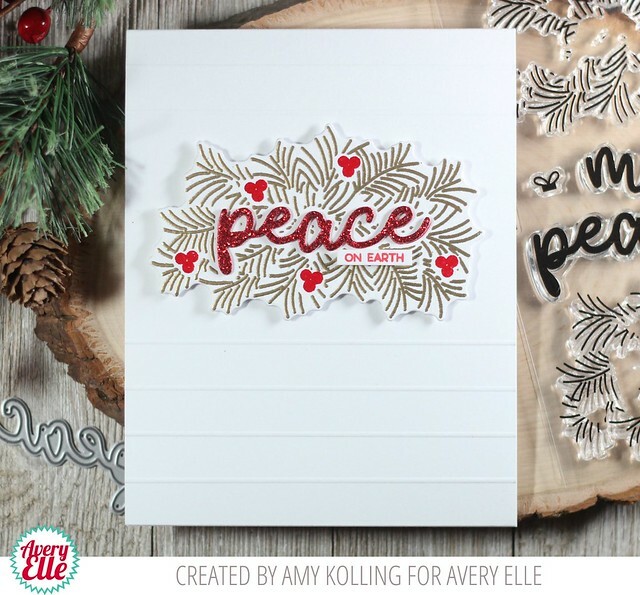 Amy here with a very clean and simple card using some heat embossing with Peaceful Pines. Clean and simple does not have to mean plain. I've used the main pine image and heat embossed it with Rich Gold Embossing Powder and the berries in a red embossing powder. This ramps things up with lots of shine! This set can be used either with the dies or without. 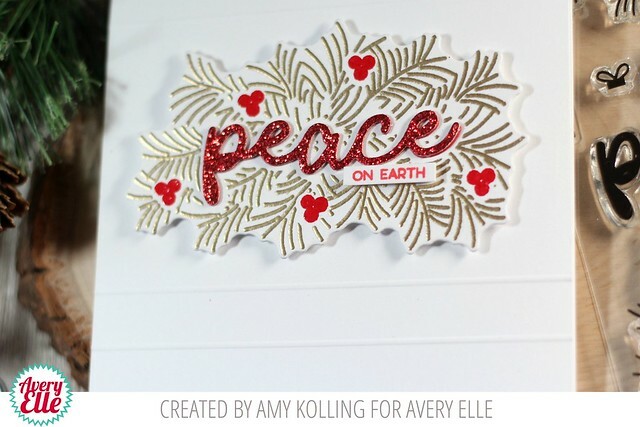 The main image was die cut along with the word Peace, from Peaceful Pines Elle-ments, out of thick red glitter cardstock and adhered it in the space on the stamped image. A supporting sentiment from Sending Peace was stamped on a tiny strip and adhered with foam adhesive. To make this other wise simple card, I scored 1/2" up from the bottom and down from the top, leaving a space to adhere my focal image with foam adhesive. It adds so much texture!